Kaviari has acquired a unique expertise on wild iranian caviar. It is this exclusive knowledge that allows us to work today with the best sturgeon farms around the world. Our passion for excellence requires from us to follow every step of the farming process : reproduction of natural conditions for the best farming quality, careful selection of our species and their best roes. Our experts control each original tin : the look of the roes, their smell, texture and of course, taste. 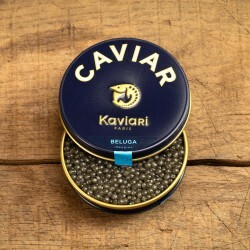 Only the most complex and flavorful grains are selected to compose our caviar. it is this work, combined with passion that has been building our reputation among gourmets and the best chefs in the world. 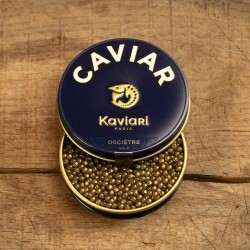 Offre découverte : 10% de réduction sur le caviar primeur avec le code PRINTEMPS2019 du 1er mars au 17 juin 2019 inclus. Pourquoi l’esturgeon est-il encore menacé ? 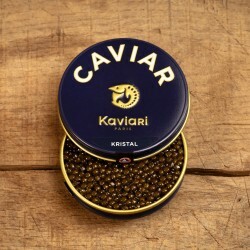 Order your caviar, smoked salmon and other seafood products,, delivery to your home within 24/48 hours. What is Kaviari’s history? 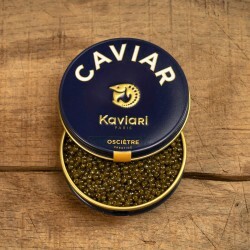 TThe story began in the 1980’s when Jacques Nebot created his own house of caviar, specialised in wild Iranian caviar. 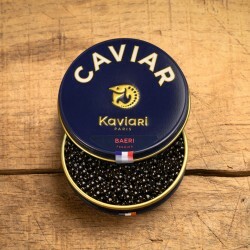 A household name in the world of gastronomy, Kaviari today offers high quality caviar thanks to its requirements of traceability and the careful selection of the best farmed caviars. 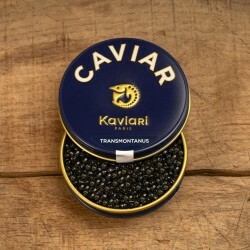 Our family business knows how to delight the most demanding connoisseurs with exceptional caviars and seafood products. Fine selection of caviars, smoked salmon, smoked eel... Everyone can find their preferred delicacy in our caviar boutique to please themselves or to please their friends and relatives. The abuse of alcohol is hazardous to health. Consume in moderation.